Those darn Californians! 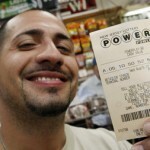 After just joining the Powerball game in April of 2013 they already have their first big time winner after a ticket sold in Northern California was stamped as a $425 million winner. 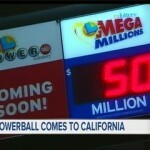 California became the 43rd state to join the Powerball and with a large population have quickly contributed to making jackpots soar through the roof over the past year. While the identity of the winner is still unknown, what we do know is that whoever they are, they’re going to be one of the wealthiest jackpot winners in Powerball history. 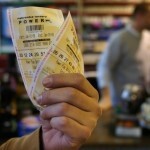 After overcoming odds of 1 in 175 million, the jackpot winner will take home the sixth largest jackpot in Powerball’s 22 year history. One winner we are aware of, though, is the store where the ticket was bought. After the ticket was sold at Dixon Landing Chevron in Malpistas, a town near San Jose, the store owners will take home their own prize of $1 million. Father and son owner tandem Kulwinder and Parmeet Singh will be the beneficiaries of selling the winning ticket. 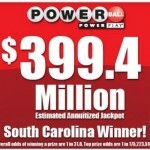 Whoever steps forward as the winner will be taking home a prize of $228 million if they go with the lump sum option, which has been the most popular for past winners. That’s one heck of a chunk of change. Hi there, my name is Ben and you can find me on Google+. I`m here to share my passion about the lottery. 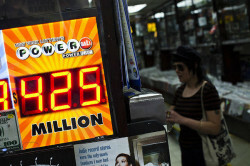 Lottery players from all over the world will find the latest lottery news, events, promotions and results on our sites. We have gathered more than 40 the biggest world`s lotteries here and I promise, we are not going to stop.